The bear's hat is gone, and he wants it back. Patiently and politely, he asks the animals he comes across, one by one, whether they have seen it. Each animal says no, some more elaborately than others. But just as it he begins to lose hope, a deer comes by and asks a rather obvious question that sparks the bear's memory and renews his search. 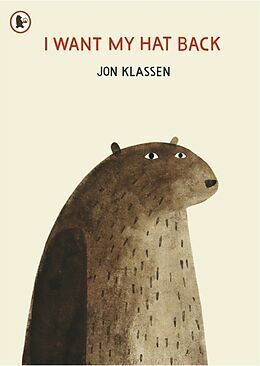 A bear searches for his missing hat in the bestselling, multiple award-winning picture book debut of Jon Klassen.